As a Tiger in the Jungle tells the story of performers Renu Ghalan and Aman Tamang who left their homes in Nepal with dreams of stardom and the promise of limitless opportunity. What followed was a life of slavery, exploitation and abuse in Indian circuses that became their prisons. As a Tiger in the Jungle is Renu and Aman’s powerful and poignant story – a story of remarkable resilience, hope and optimism. Recounting the story of their lost childhoods, Renu and Aman - who are joined by Vietnamese artist Loan Tp Hoang - use the tiger as a metaphor for their traffickers. Using spoken word, movement and ceremony, the performers ask questions about life, love, poverty and greed. 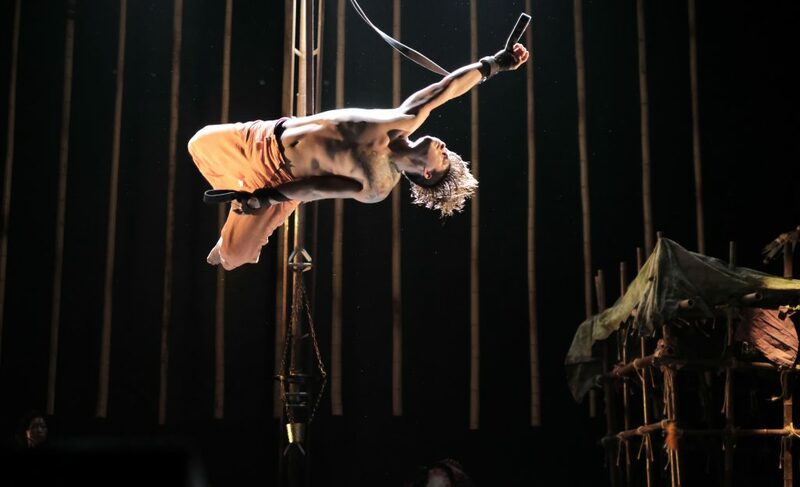 The show is the result of a collaboration between director Sverre Waage, Cirkus Xanti (Norway) and Ali Williams, formerly artistic director of the Welsh circus company No Fit State. In 2013, Ali spent a year working as creative director of Circus Kathmandu - a contemporary circus group made up of 13 young men and women, including Renu and Aman, who were all child trafficking survivors.